It’s just ain’t Alabama without some down-home fried chicken. Alabama has perfected what this savory southern favorite should look and taste like, offering the best combination of crunchy, golden, and delicious in every bite. Locals and travelers alike can get a meal they won’t soon forget at these 10 best places for fried chicken in Alabama. This amazing fried chicken joint is the best thing to happen to Alabama cuisine. 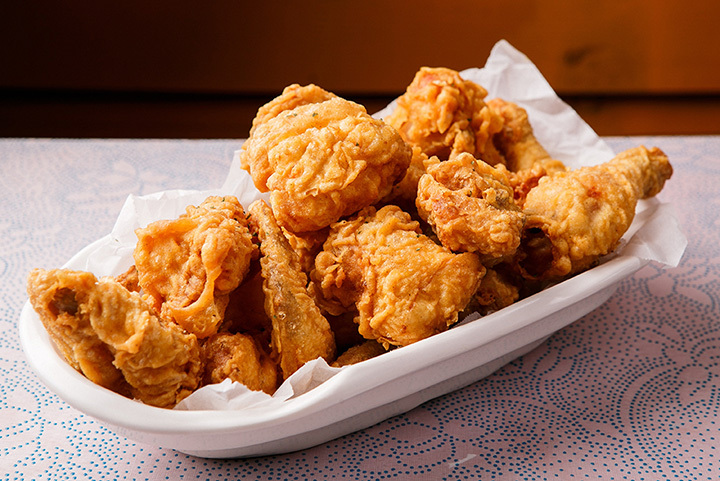 Their homemade recipe lends itself to creating the best fried chicken in the state, all made fresh to order. Choose from fried chicken legs and breasts, chicken wings, chicken livers, or chicken tenders—you can’t go wrong. Find locations in Alabaster, Muscle Shoals, and Daphne. A meal here is like gathering around Grandma’s kitchen table and enjoying the best home-cooked food in a homey atmosphere. This farm-fresh chicken spot offers family meals fit for royalty or single serve meals perfect for anytime. Chicken bites, legs and breasts, wings, and fried chicken sandwiches give your appetite a tough choice. As one of only three Big Shake’s Hot Chicken and Fish locations in existence, this place puts a fresh spin on this classic southern staple. In case you haven’t experienced this wonder, Hot Chicken is a fresh piece of golden fried chicken with a built in “hot” factor that’s perfectly spicy. Good news: they also offer no-heat varieties so you can get great flavor without the fire watch. Settle in to a meal of authentic Alabama flavors and honest-to-goodness southern hospitality. The quaint, cozy atmosphere makes you feel like part of the family, and the food will leave nothing to desire. Guests love the variety of country side items, like greens, beans, mac and cheese, corn, and more. Serving up fried chicken and other country cookin’ buffet style, locals can’t get enough of this place. You can take your pick of freshly fried chicken or tenders served piping hot and loaded with side dish options. There’s no way you’ll walk away hungry! Inside this humble exterior lies one of the best small-town eateries in Alabama. Newt’s is dishing out chicken tenders, wings, livers, and white and dark meat pieces to satisfy your fried food cravings. They keep their menu simple, offering a select variety of sides and other fan favorites so they can focus on what they do best. Their fans agree there’s no better place to eat in town. There’s a lot more going for this place than fried chicken, but visitors will agree that their chicken is reason enough to stop by. Fans love the welcoming environs, reasonable prices, and the best service in town. It’s top notch country eating, and you won’t regret it. It’s hard to say which one is more appealing: Crowe’s fried chicken or its secret sauce. This amazing sauce is hard not to fall in love with because it goes with everything: tenders, livers, French fries… you’ll be searching for more ways to experience it! This hometown favorite is a classic icon in its community, and it’s a must-stop if you’re in the area. Part restaurant, part caterer, this place is 100 percent southern hospitality. They’ve got everything going for them: fast service, fresh hot food, friendly folks everywhere you turn, and some of the best fried chicken in the state. They’re passionate about food, and know how to do it right. A true Alabama tradition, Martin’s Restaurant has been a food-fueling station for over 80 years and counting. Every meal feels like a Sunday dinner full of fried chicken, turkey and dressing, fried catfish, and all the fixings. Their fried chicken made them famous, but their reputation for great food and service has kept them alive and thriving.